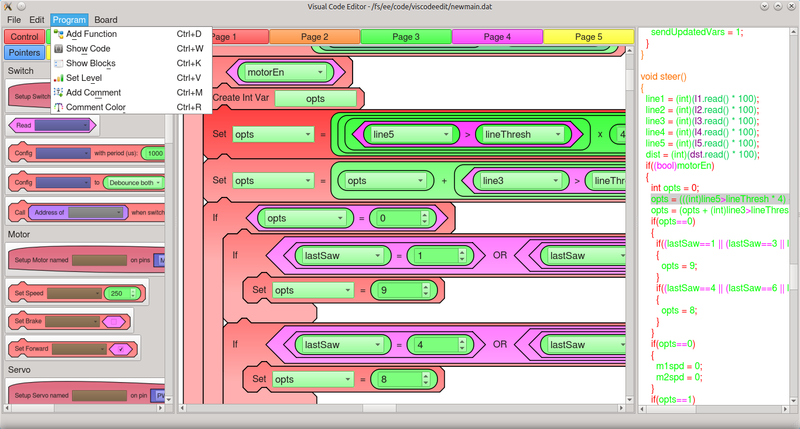 The visual programming software is at the heart of the robotics platform. 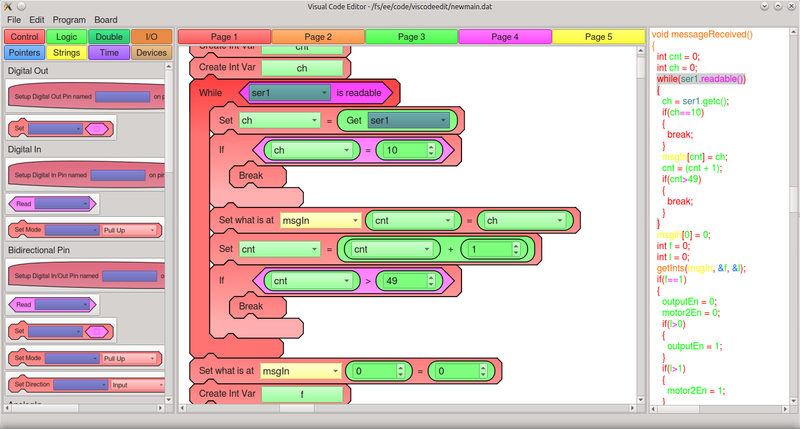 It generates C++ code from visual programming blocks. 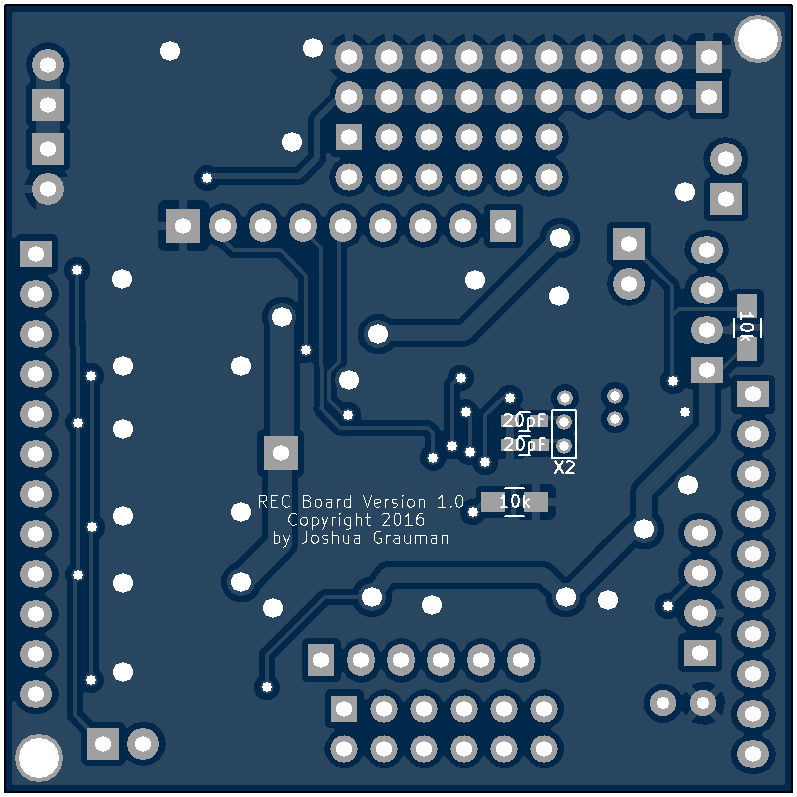 Blocks can be added or modified using text based configuration files making it easy to add or extend sensors or devices to the system. 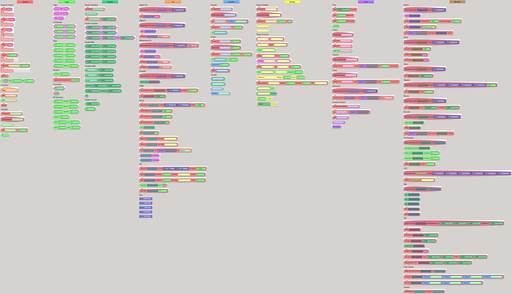 Each block is assigned a different "level" so that lessons can be designed to progressively introduce new features and concepts without overwhelming beginning students. 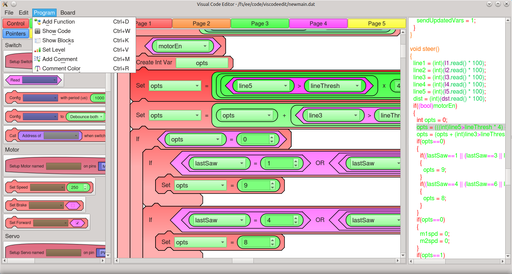 The code that is generated is color coded to the visual blocks to see how the visual representation translates into actual code. You can also select blocks to see what code corresponds to those blocks. 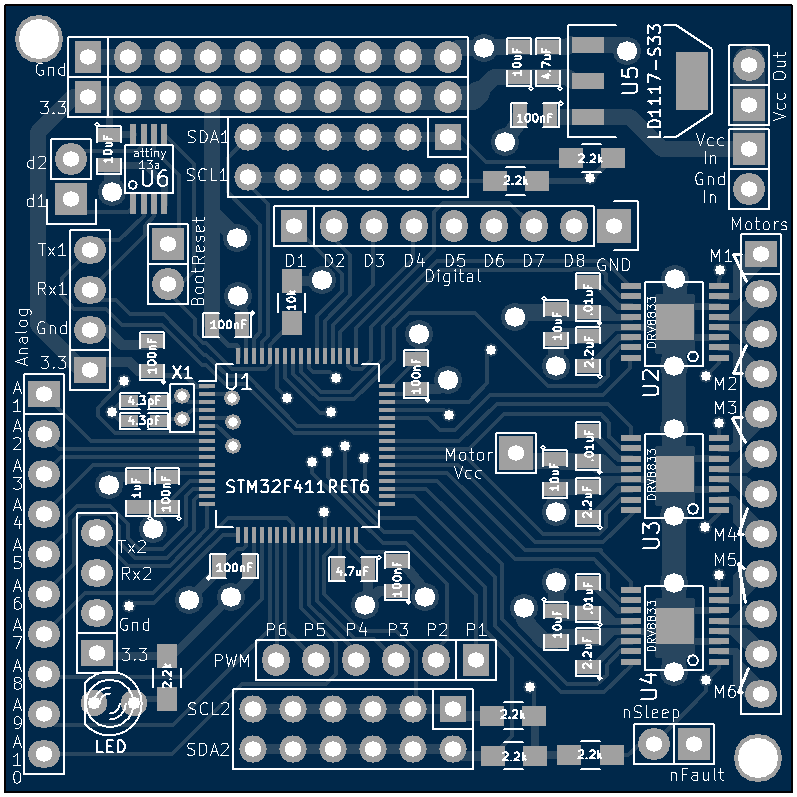 The software is fully customizable and could be configured to generate other systems' code (such as Arduino). 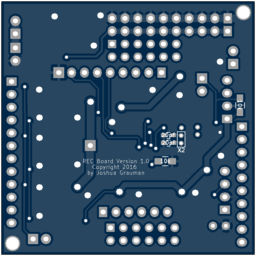 The software supports save/open, import/export, zoom, copy/paste, printing, comments, functions, as well as programming, pausing, reseting, and controlling the board. 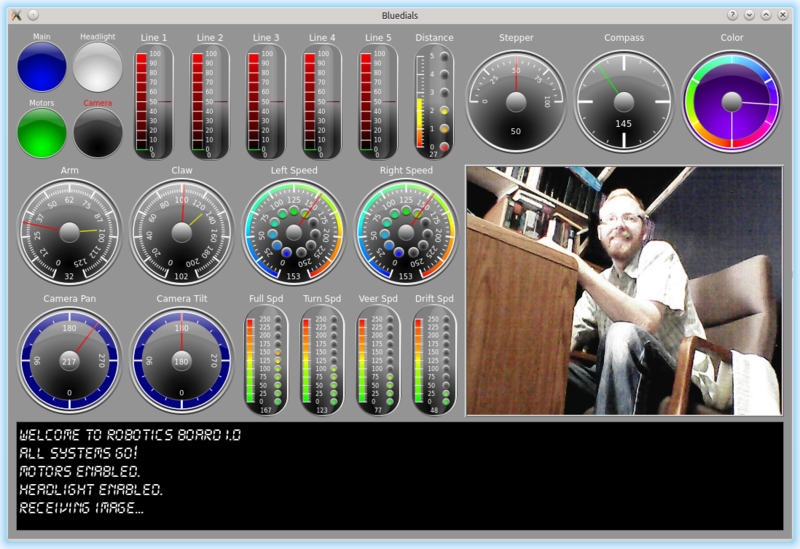 This is a full program to control a wheeled robot with built-in Bluetooth control. 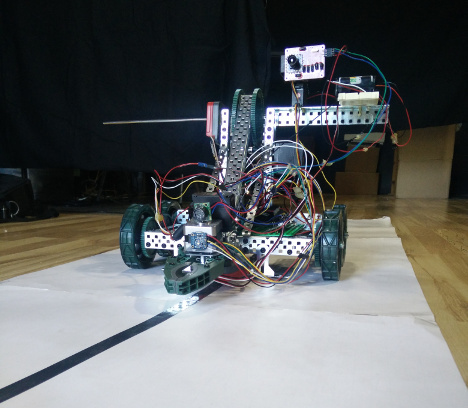 The robot has two motors for the wheels, an arm and a claw, optical line sensors, a camera, a color sensor, position feedback sensors for the motors, two servos for the camera, and a stepper motor connected to an ultrasonic distance sensor. 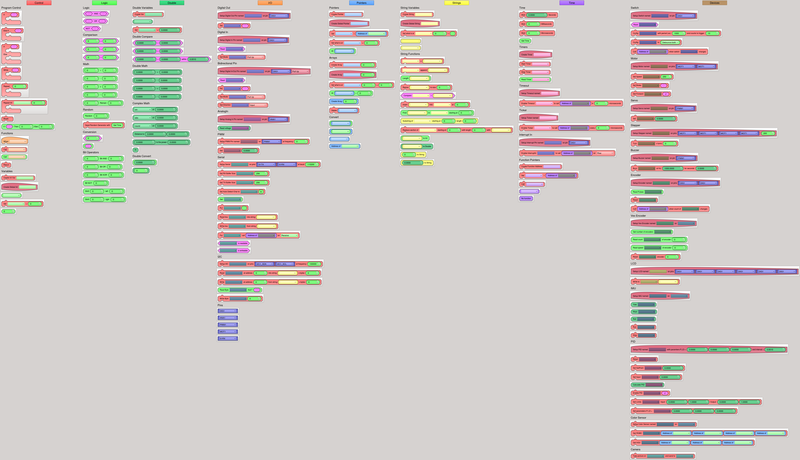 This is an image with all of the programming blocks currently entered into the configuration file. Like the programming software, the control software is highly configurable using only a text file. You can control almost every aspect of the look and style of each of the buttons and dials, as well as which Bluetooth codes the controls send or are updated by. 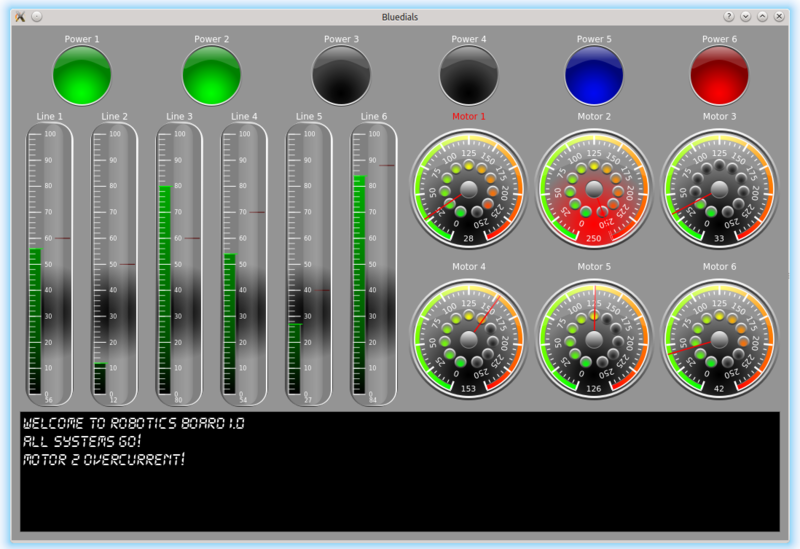 You can easily create completely new dials and change the position and size of all the controls. Each button or dial can display multiple sources of data and can send multiple data inputs as well. 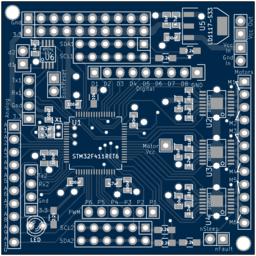 Because it is built on the powerful mbed libraries, the board and software support hardware interrupts, timers, callbacks, serial and I2C communication, PID loops, string manipulation and more. We ran a one semester trial program for inner city children in South Central Los Angeles. Our goal is to be able to grow the program to be able to serve more children. © 2016 by Joshua Grauman. All rights reserved. Design based off of "Twenty" by HTML5 UP.